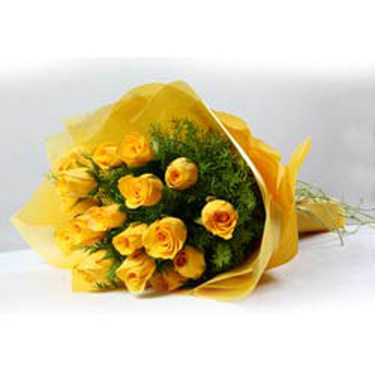 A beautiful hand bunch of 24 fresh yellow roses. with seasonal ferns n fillers. The product is delivered along with your personal message.